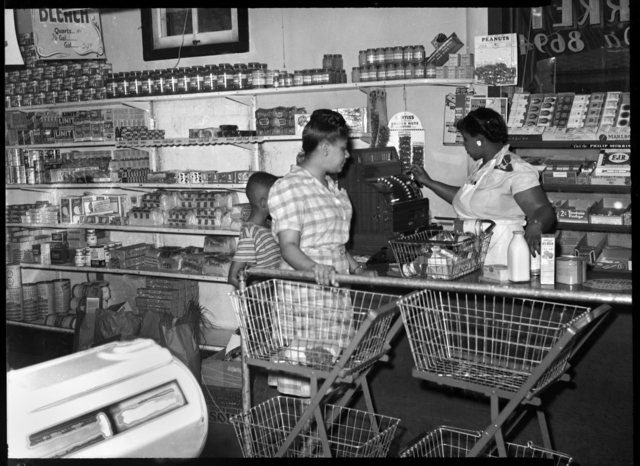 This is an interior view of the Credjafawn Co-op store, located at 678 Rondo in Saint Paul, 1948. The Credjafawn Social Club started in 1928 as a social and recreational space for young African-Americans; later it created a food cooperative as well as a credit union to assist community members in financing their homes and educations. See the Credjafawn Social Club papers.